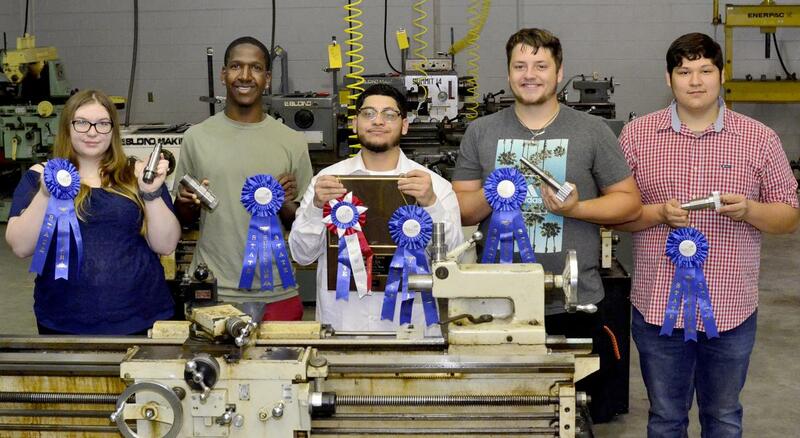 West Orange -Stark High School students competing in the STATE SkillsUSA Precision Machine Job Exhibit Competition in Corpus Christi earned blue ribbons. Jonatan Ramirez earned Best of Show! Congratulations Hailey Vasquez, Jacoven Hinson, Jonatan Ramirez, Simon Alonzo and Bruce White! Carlo Paulino is their instructor.